Why is there a “Zamp only” plug on your Airstream? Does your Airstream have one of these? Ever wonder why the factory installed solar port says “Only use Zamp”? Well, it’s not because other solar panels won’t work. 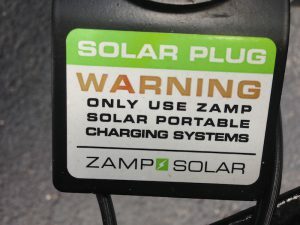 This is an industry standard (SAE) port with a big label to scare you into using Zamp brand solar panels. 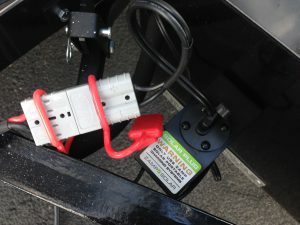 In fact, any solar panels will work with this port, since it’s just a way to connect to the trailer’s 12 volt wiring. Now, I like Zamp’s portable solar panels just fine, but they are among the most expensive in the industry. I think you should be able to consider other portable solar panels, such as the Go Power solar kit we recommend, if you want. All you need is a simple adapter, which is included in our kit, or which you can buy separately. And then, voila! You’ve got solar. It will work just fine. By the way, if you don’t have this port, we have another adapter that goes right into the 7-way cord found on every Airstream. 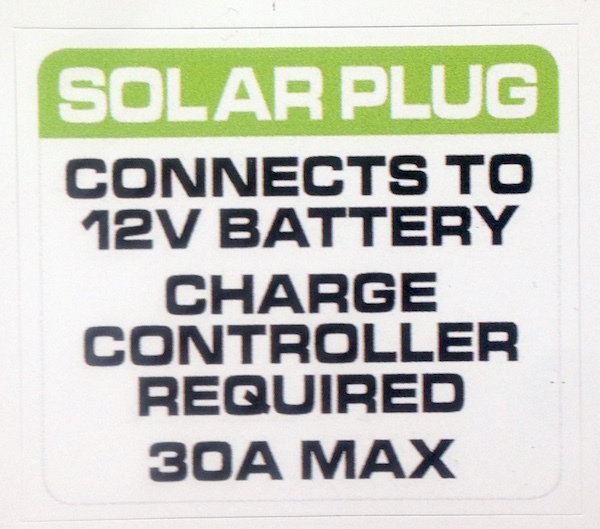 We’ve made an exact-fit replacement label, which more accurately describes this solar port. Starting in November 2017 we’ll include it with every adapter and solar kit we sell. Truth in labeling!